Fiber optic internet connectivity is an advantage for businesses in both the Montgomery County, Maryland area and the greater Washington DC Metro area. While the most common benefits of business-class fiber are speed and reliability, your firm can also unlock much better data security and support for cloud, VoIP, and rich media services such as HD video conferencing. Research by Sandisk found that each year, one week of productivity is lost due to slow internet connections. 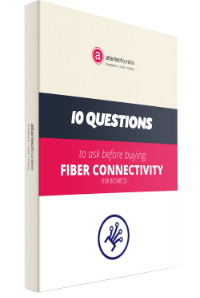 Fiber-optic internet investments are often much cheaper over the long-term for a variety of reasons, including gains in business productivity, a longer technology lifespan, and improved business continuity. To discover more about why fiber opens up a world of possibilities and reliability compared to high-speed cable internet, we recommend 7 Reasons Unified Communications as a Service on Public Internet is Risky. If you are researching your options for business fiber services in Silver Spring, Bethesda, Rockville, Gaithersburg, or other parts of Montgomery County, Maryland, there are quite a few options. A simple Google or Yelp search for fiber will reveal local companies and nationally-known telecom providers. To help you understand which options can provide the true benefits of fiber for business - and not just high-speed internet, read on to discover five common options for businesses trying to unlock better data speed in Montgomery. DC Access is a family-founded local internet provider located in the Washington D.C. area. They offer high-speed internet connections, along with a promise to provide professional customer service that is reliable and personable. DC Access is committed to keeping your information safe, which includes a commitment to never sell customer data to other companies. 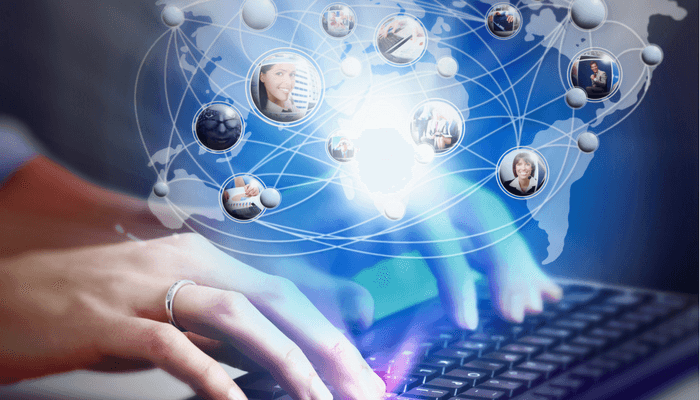 While this provider's client roster includes larger organizations, their business-class internet services focus primarily on wireless internet connectivity. An international provider of communications services, Zayo offers an extensive menu of connectivity nd bandwidth services to global customers. Per their online coverage map, their dark fiber network is available in Montgomery County, Maryland. In addition to fiber-optic internet connectivity services, customers of Zayo's 59 global locations can access a limited suite of business services for small and midsized (SMB) or enterprise organizations, which include dark fiber, ethernet, and IP services. FiOS, by Verizon, offers limited nationwide fiber services in "key metro areas," including Baltimore and Montgomery County, Maryland. Comprehensive information on the coverage area available to prospective customers of Verizon FiOS in Montgomery County Maryland or other areas nationwide can be accessed via a coverage map on the FiOS website. Customers of Verizon FiOS can access four different options for FiOS fiber and phone bundles, which vary in price largely depending on the number of users and devices. Organizations can also extend their bundles with FiOS television services. Comcast is among the largest nationwide internet and phone providers who offers business fiber connectivity in many regions nationwide, including Montgomery County, Maryland. Specific details on the availability of Comcast's business services for fiber, high-speed internet connectivity, ethernet, and voice by region can be verified via online service availability tools. Per Comcast's website, the organization's nationwide fiber network is currently the largest available. Prospective customers have several options when it comes to access to Comcast's bundles for select business communications, which include business data connectivity, telephony services, and select cloud services such as Microsoft Office365. Atlantech Online is a Maryland-based provider of true fiber optic Internet connectivity for business in Montgomery County and the greater DC metropolitan area. Since 1995, Atlantech has been a leading telecom option in Maryland, who now offers the only true fiber in Montgomery and access to unified communications. Atlantech customers receive unmatched customer service, lightning fast internet connectivity, and the advantage of partnering with local experts. Which Montgomery County Business Internet Provider is Best? Organizations who need faster, more reliable, and secure business internet services are wise to consider the benefits of fiber optic internet connectivity. While "business-class, high-speed" internet over copper cable is okay for some smaller businesses, it doesn't offer the same advantages as fiber when it comes to upload and download speeds, signal distance, and total cost of ownership. More information can be found in 8 Advantages of Fiber Optic Internet vs. Copper Cable. Atlantech is committed to providing businesses in Montgomery County, Maryland with honest suggestions that best benefit their business. Ultimately, our local experts want to make sure your organization finds the right fit for your needs. To find out what fiber internet services can do for your business, Click Here to contact one of our fantastic customer service representatives.